This pocket-sized book celebrates the Quaker way and affirms the wonderful riches of the Quaker tradition in Britain, and the Quaker 'Liberal tradition' more widely. 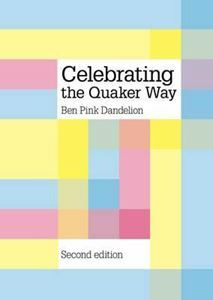 It is a book for Quakers rather than about them. It talks of 'us' and 'we' and is for 'insiders'. It is a devotional book, for us.